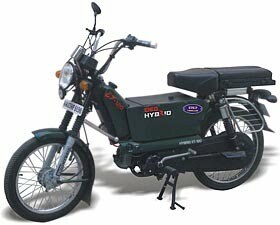 Bangalore based EKO Vehicles has launched hybrid vehicles , named Strike and ET-120. ET-120 uses a 70 CC petrol and electric motor to power the bike. The drive range is 120 km per litre. The price range will be around Rs. 40,000 and a maximum speed of 65 kmph with a gradient climbing capability of 8 degree. Eko-Strike will be costing under Rs. 22,000. This vehicle does not attract road tax and does not need to be registered.